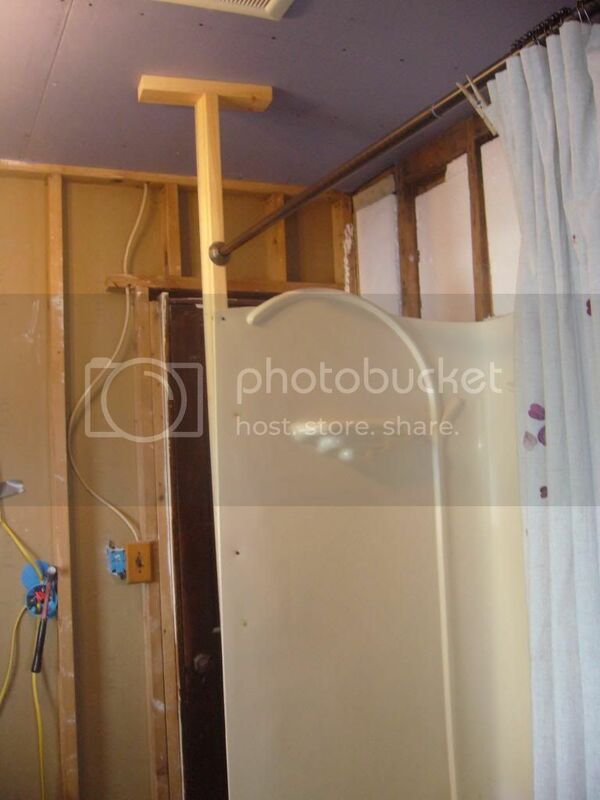 Home>Discussions>BATHROOMS>Do we need to reinforce or brace a shower wall? Heavy shower surround. Do we need to reinforce or brace a shower wall? Heavy shower surround. Our previous shower was walled in on all three sides. We removed one of the walls and would like to make it only slightly higher than the shower. We would like to leave that space open for air movement. Do we need some sort of support from the wall to the ceiling? (Similar to the 2x4 in the photo) If so, is there something decorative that we could use? Should the short wall be a 2x2 wall or 2x4 wall? Our new shower is going to be Swanstone type panels so will be very heavy. The photo shows the old surround tacked up on 2x4’s for temporary use. Arg! I can't get the photo to upload. Will keep trying! Re: Do we need to reinforce or brace a shower wall? Heavy shower surround. We really need that photo. Try loading it up to a host like photobucket.com and then give us the link.